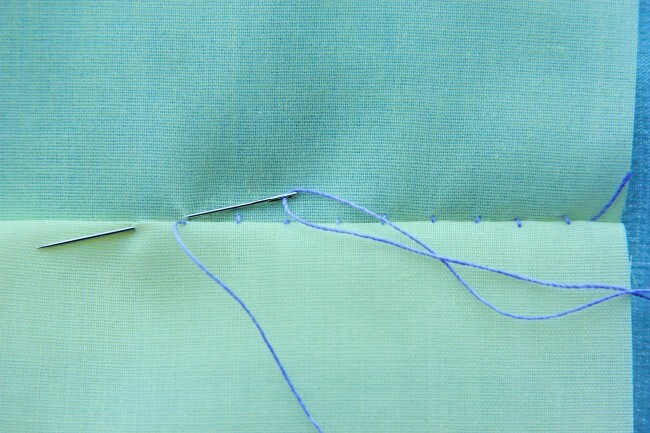 Hand sewing seems to be polarizing: you love it or hate it. No matter what camp you’re in, I know you’re bound to bring out the needle and thread at some point! 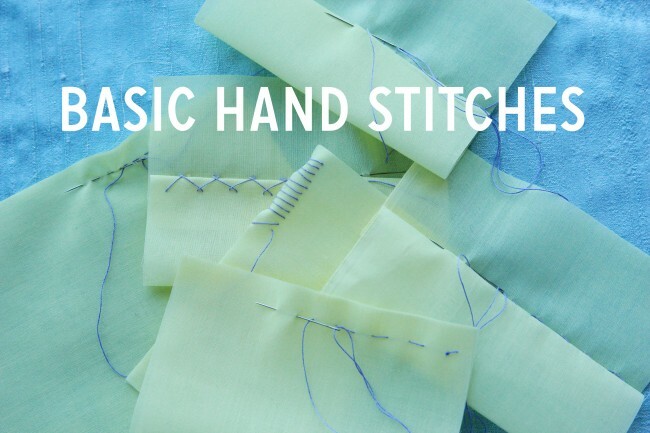 While there are many, many different types of hand stitching, we have just focused on a few basic stitches you’re likely to come across in your sewing journey. What’s your favorite stitch? Is there one you use all the time? 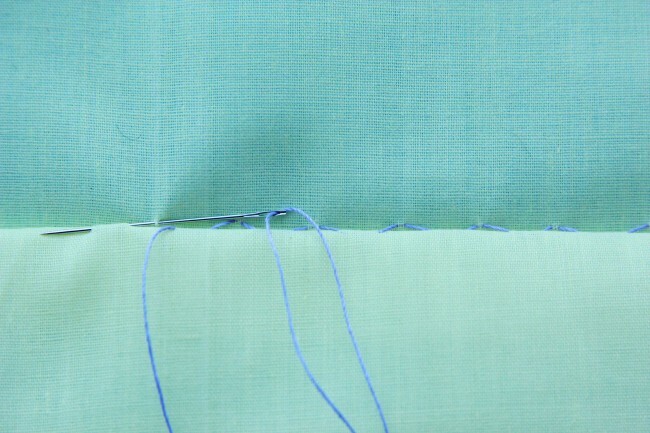 Fell stitch attaches a raw or folded edge to a garment. 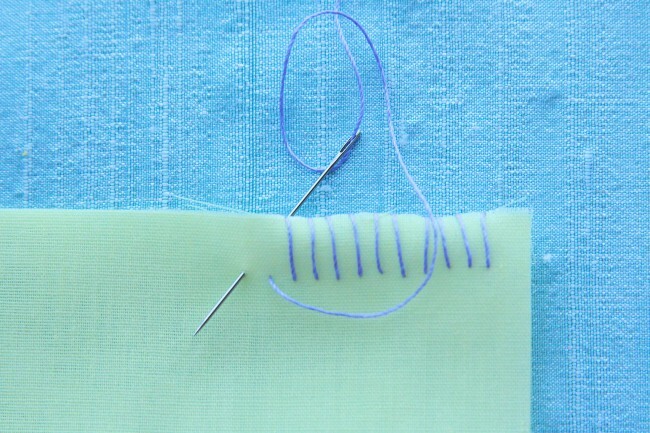 It can create a sort of hinge and is often used sewing linings, but can also be used to applique. Thank you, this is also very helpful for me so I can learn the proper names of the stitches (since I’m not a native speaker). I love the catchstitch because it is so pretty, but the one I use the most is the slipstitch. 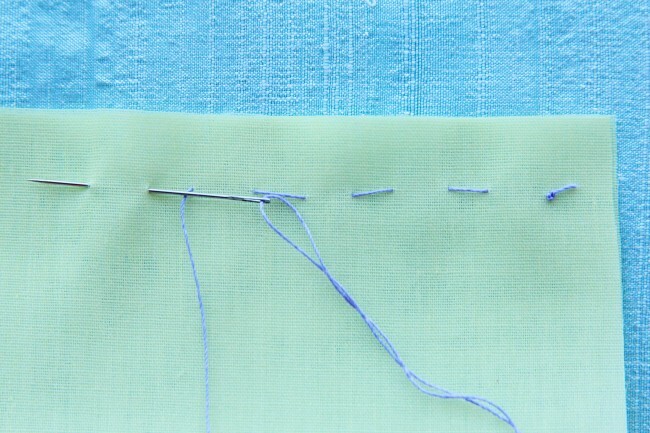 One stitch that you don’t mention here that I also use a lot is the pickstitch, this one really made me LOVE to install zippers. Usually I’m always rushing to finish a project, I’m very impatient that way so it is no surprise I used to hate hand stitching – it took too long!!! But now I love it. It helps me slow things down and in the end that does make things look better. i wasn’t loving hand stiching until i got into making the Anise! i have always felt basting in particular was a waste of time, but now i can see how much better hand basting makes the final seam look, i will be doing it a lot more often! my most recent discovery is catch stitch and i have used it quite a bit recently. I use the slip stitch on practically every project. Shoulder seams after flipping a lined bodice right side out to closing up a decorative pillow, the slip stitch is my workhorse stitch. I use the whipstitch most when I am doing felt crafts or felt appliqué because I like the enhanced handmade look it gives for those kinds of projects. I LOVE the slip stitch! This was one of the first hand stitches I learned and it made for one of my first “Wow, so that’s how they do it!” exclamations (I think the second one was when I learned how to box a corner on a bag). I use it most often in attaching a lining to the zipper tape in a skirt or dress. I love a few small STRAIGHT running stitch for many things. Practicing your hand stitching translates over to many different crafts. LOVE your idea for adjusting for the turn of the cloth in the collar/undercollar. Why did I never think/hear of that? Thanks. I love it thank you, there was some very good information, I needed it for my homework and this is probably the best site I have looked on so once again thank you! as i am a fashion design student i use hand&cover stitch the thing is iwasn’t love not love i hate stiching untile i got this subject. but what is the difference b\n hand stich &chain stich and the needle that we use? i am trying to make a survivor style wrap thing for class, i actually need to make 10, and am doing this by hand. i was told i need a diagonal? 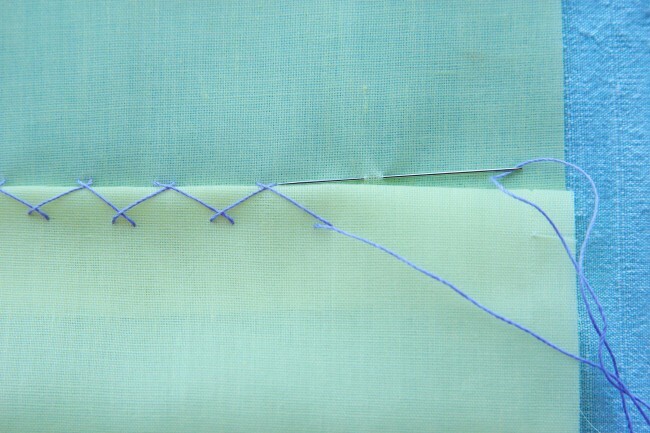 stitch to allow the fabric to stretch?? If this is the case, can anyone give me advice on how to do this? these all stitches helped me in my school project.thanks .its osm. The trouble is that there are so many ways of doing slip stitch that I have seen. Both in books and on line. They get shown differently and then also you get the same thing but with different names. Catch stitch is known as herringbone stitch in many books, where in one of my books catch stitch is a hem stitch probably like blind hemming. I used it as a child. I’m trying to find out what a definitive slip stitch is! I’ve done it your way but also ways that you don’t put the needle in at a diagonal. I must have seen at least half a dozen methods, some show just a little tiny single stitch yet others show two tiny stitches together. Some you go into the fold directly and straight out again and others like your method, right into and under the fold so the thread is hidden. It drives me mad! 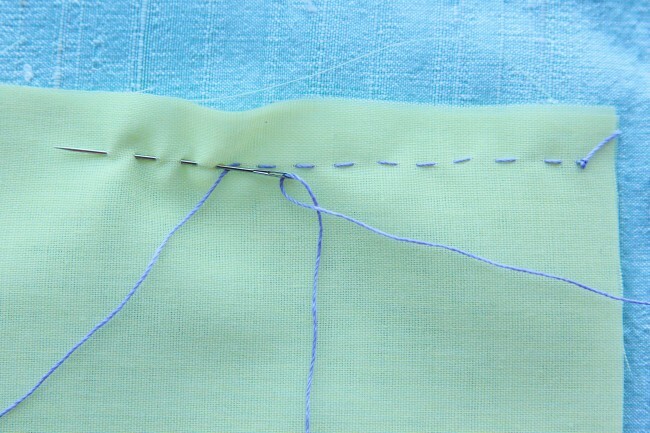 Also some approach the stitch with the fold above and others with it below. So really its safe to say I have no idea what slip stitch is as I have got increasingly muddled! I am hoping to find an older vintage book from the days when hand stitching was common place but I have some from the eighties and they don’t show slip stitch like yours. What you show I have seen and done before but it also gets described as ladder stitch. Which to me is slightly different! So bewildering. I can actually do hand stitching quite nicely, I just would like to have a more standardised idea of what it is I’m actually doing with some agreement and consensus. i like the catchstitch, fell stitch, and slip stitch. but i can’tdo it. i think it’s easy but i’ll try it so hard…. What stitch should I use when taking in a sweaters side seam? I love the slipstitch. I use this stitch for most of my projects. I am planning to start teaching my 2 little girls how to sew and making simple hand craft; this site will help me tremendously. The pictures are very clear, this will help a lot. thank you and keep up the good work. This tutorial was included in a recent costume tutorial on my website (http://wolfishwritten.wordpress.com/2014/06/05/outfitting-the-noblest-of-militia-the-humble-tabard-part-one/).